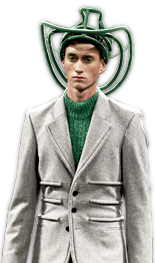 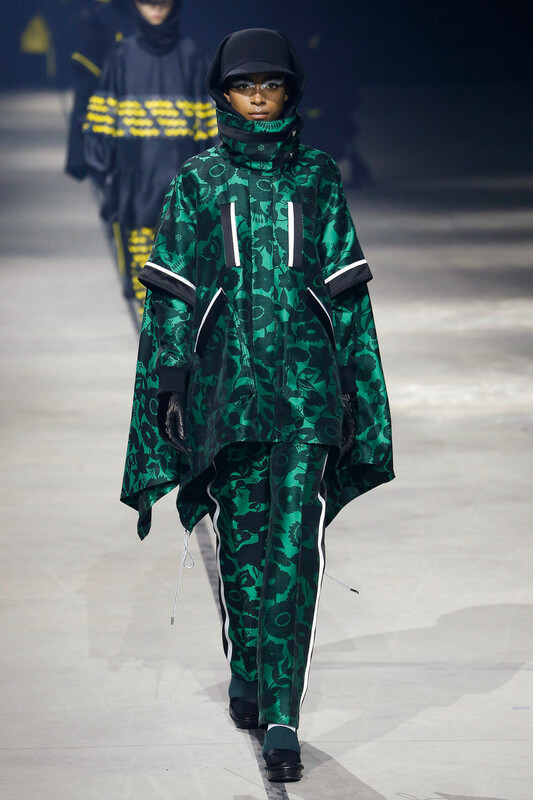 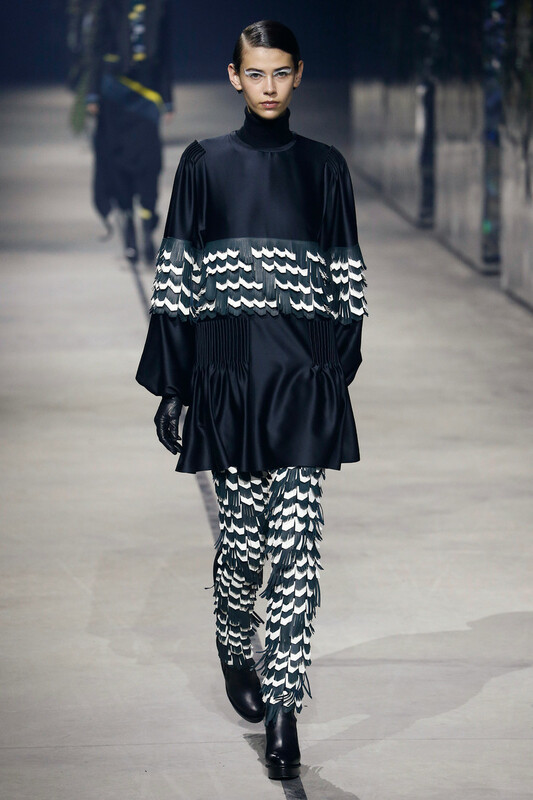 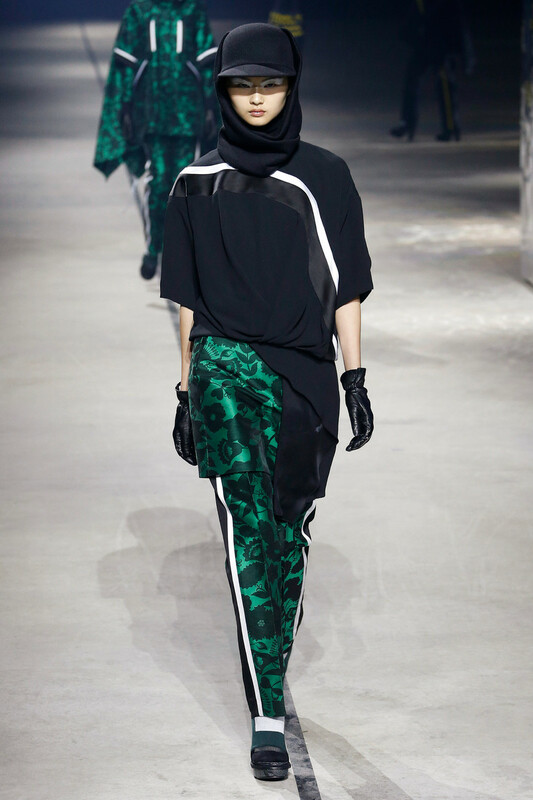 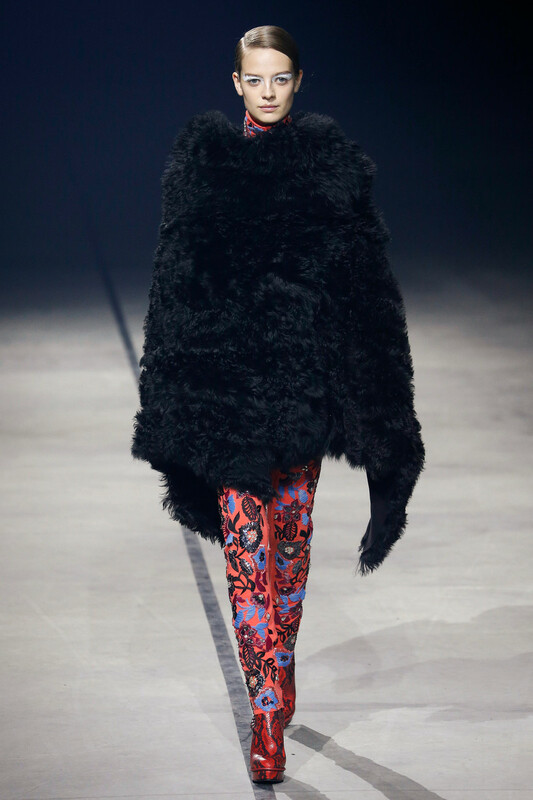 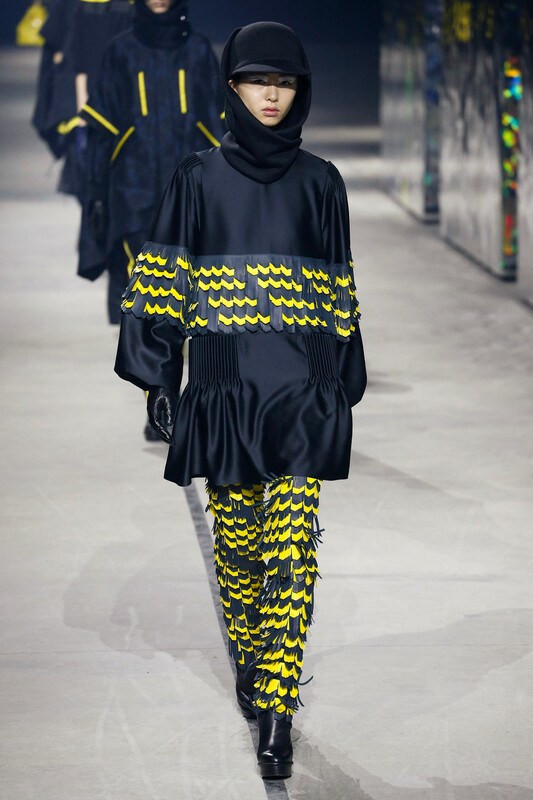 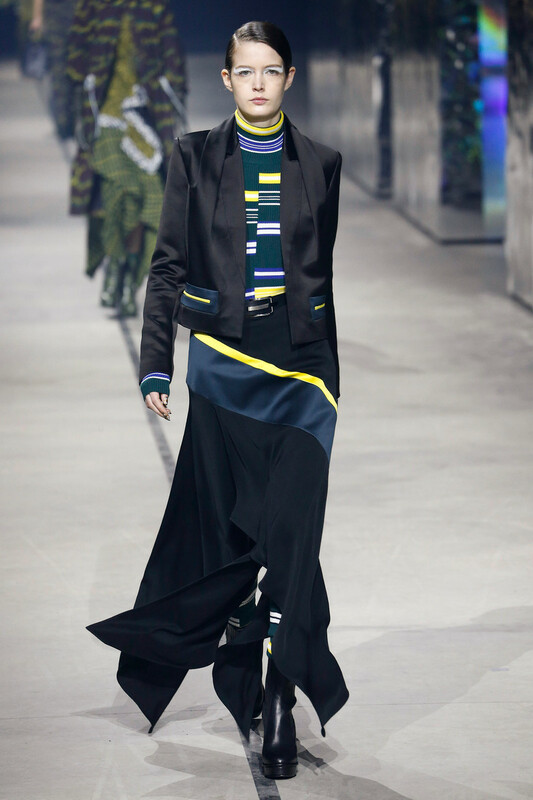 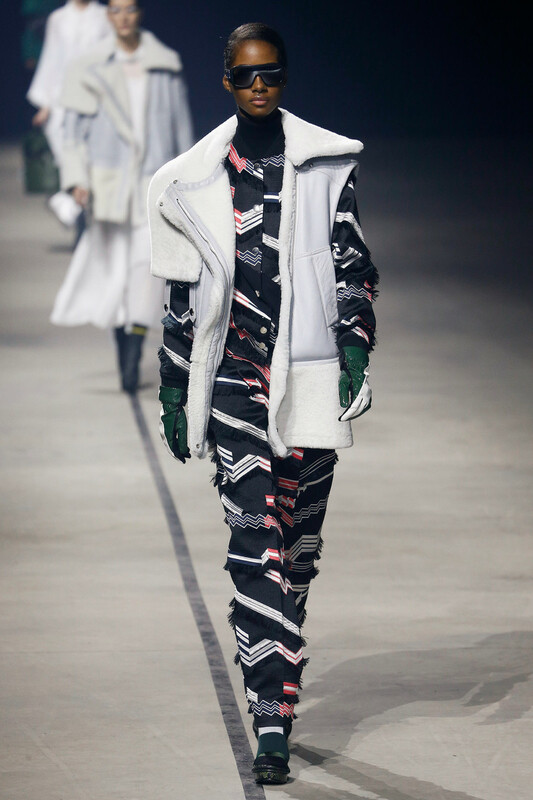 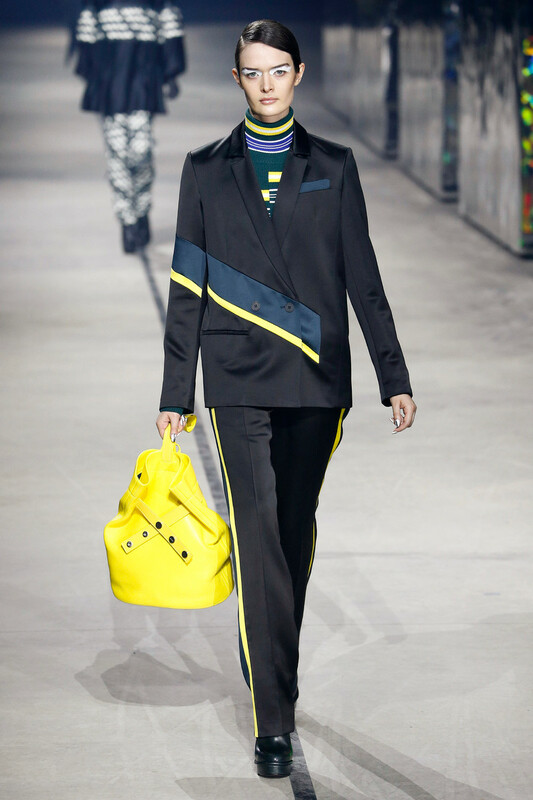 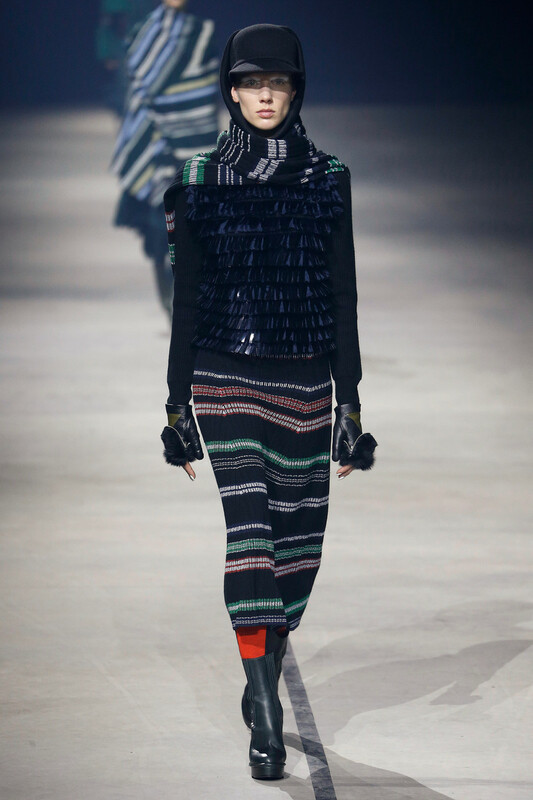 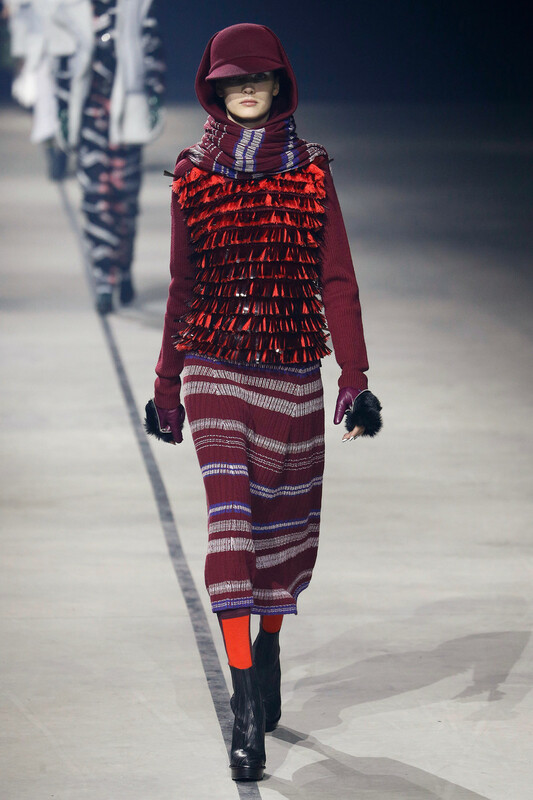 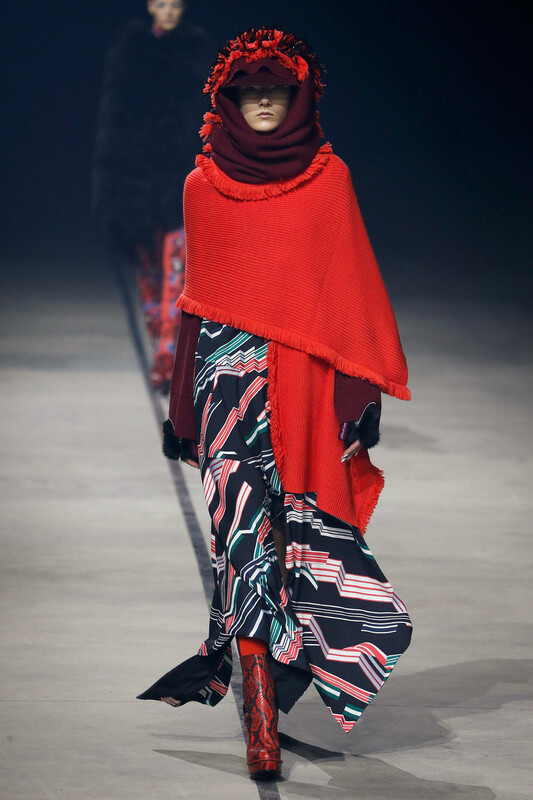 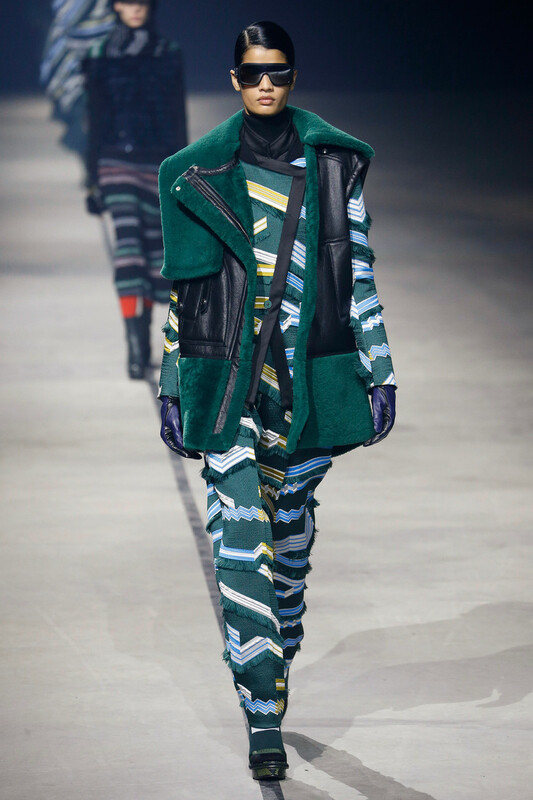 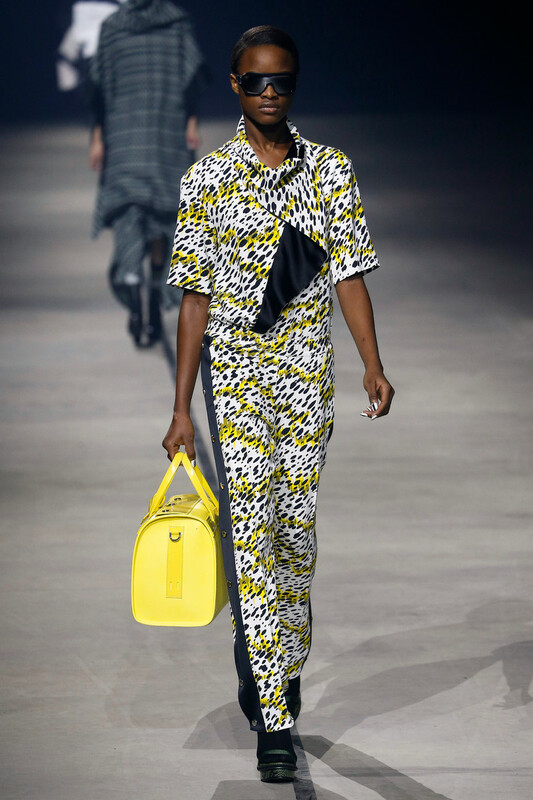 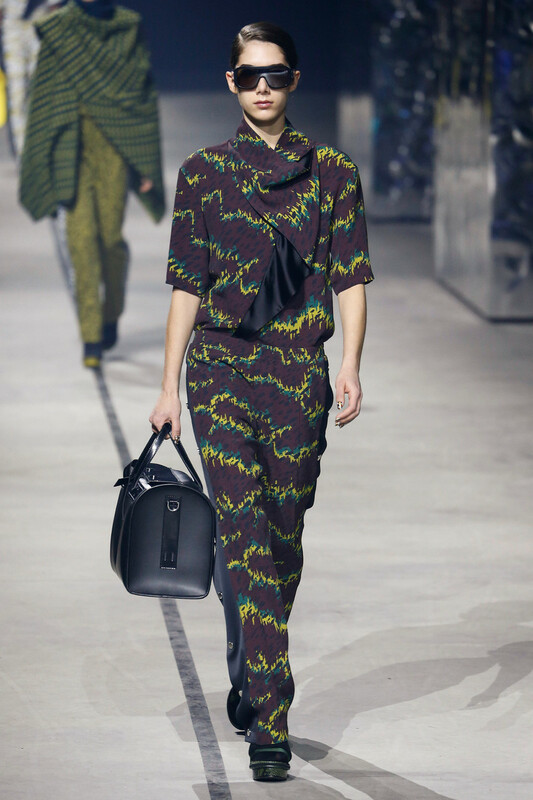 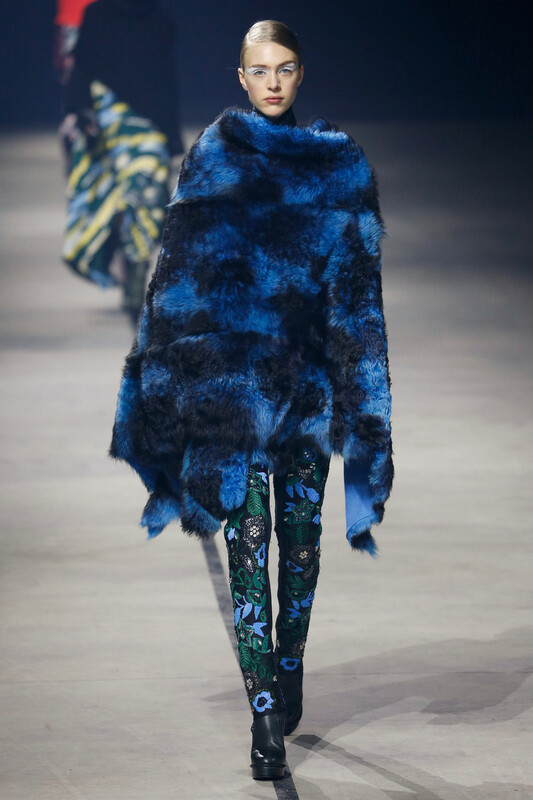 Humberto Leon and Carol Lim of Kenzo were inspired by the forest. 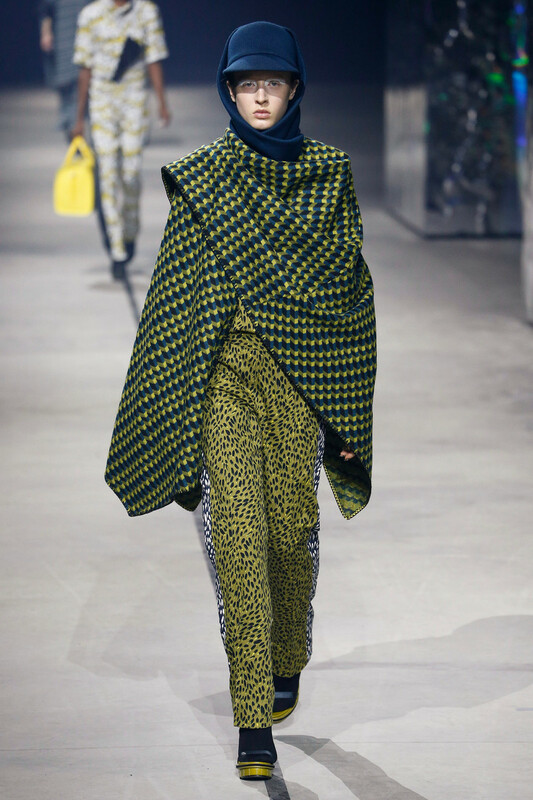 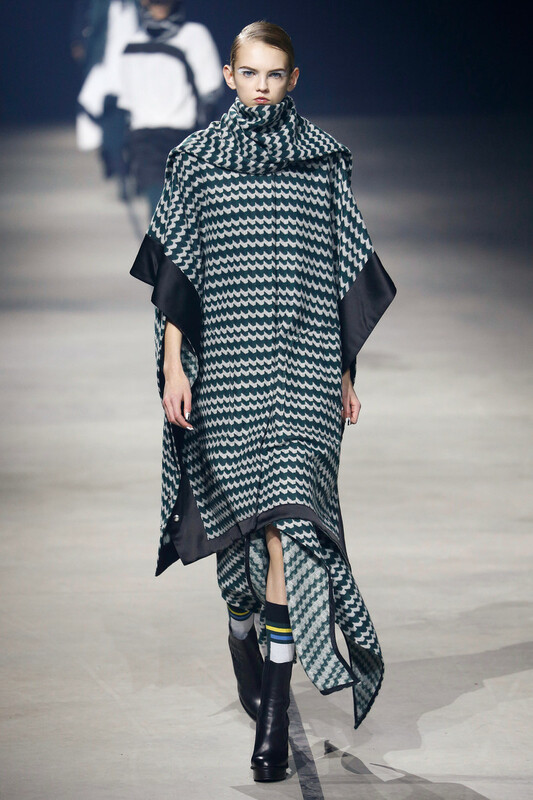 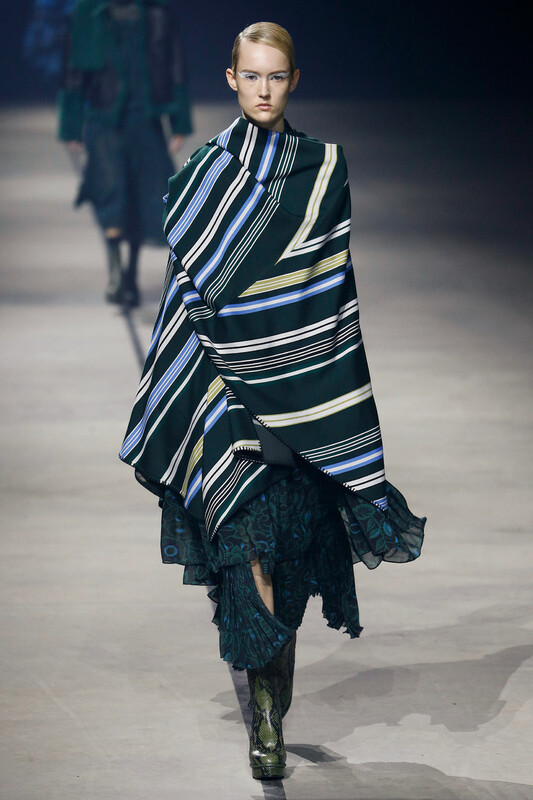 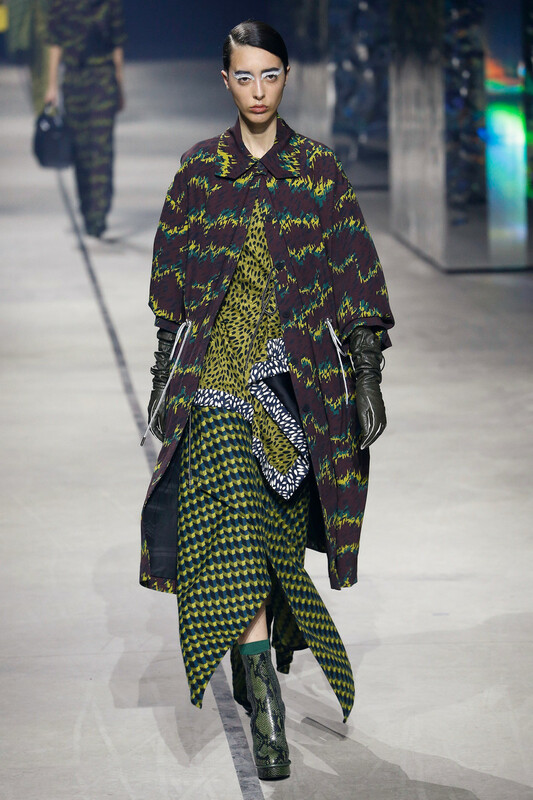 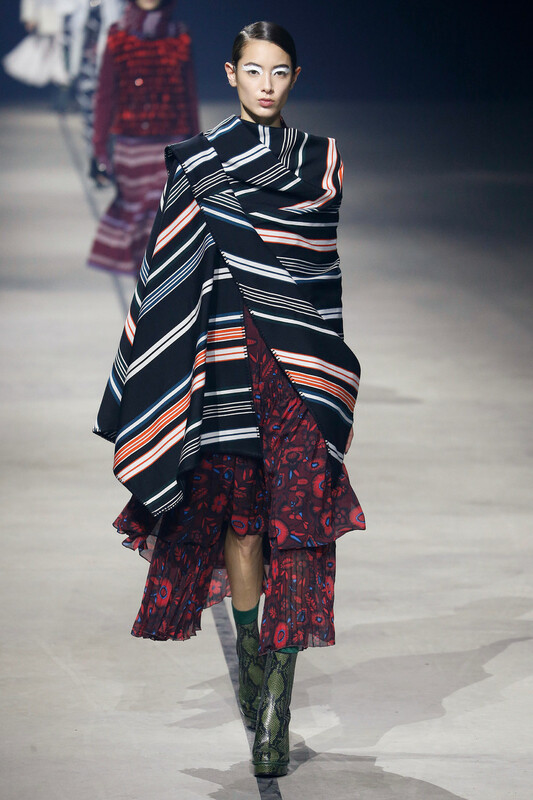 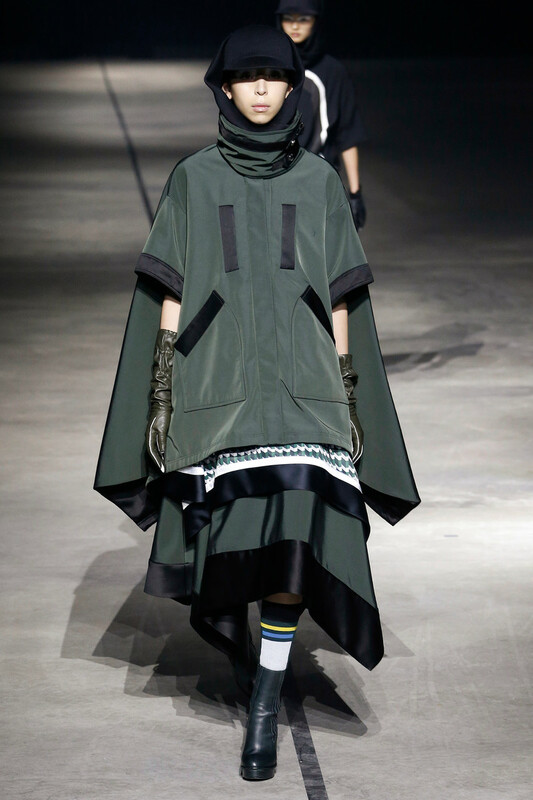 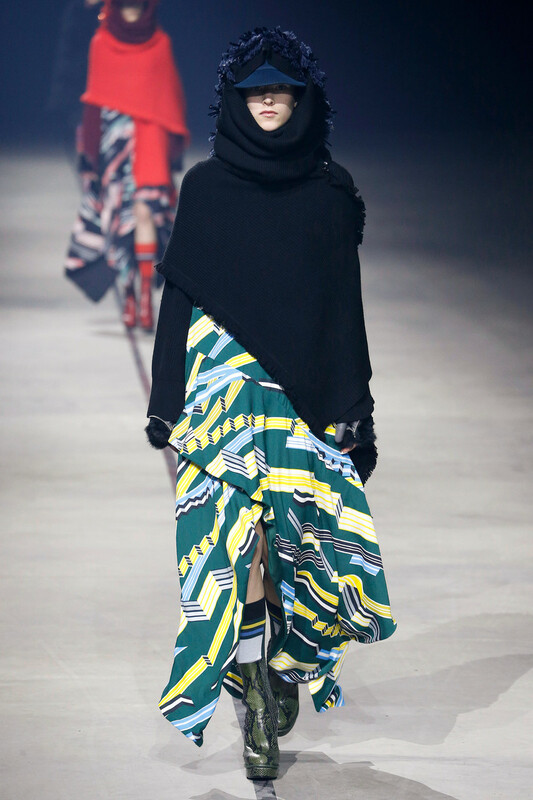 Models were dressed in protective ponchos and capes in shadowy blue, deep purple and forest green — some in camouflage-style floral patterns spliced with contrasting stripes. 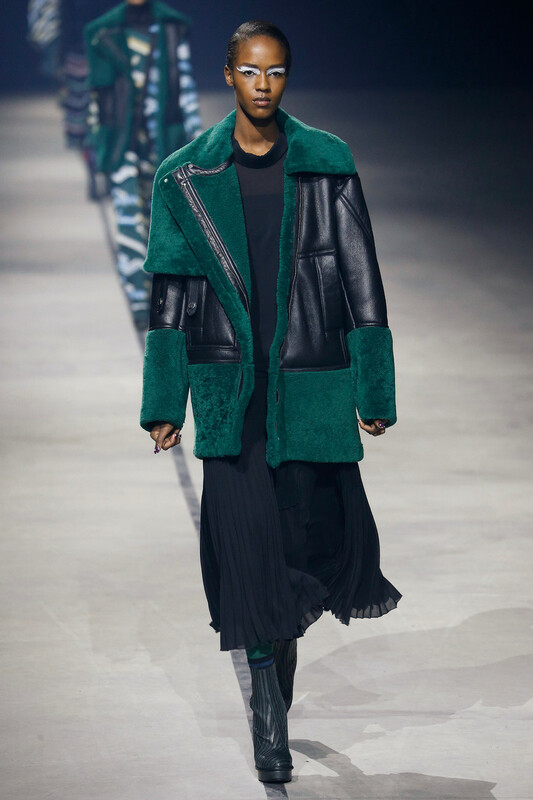 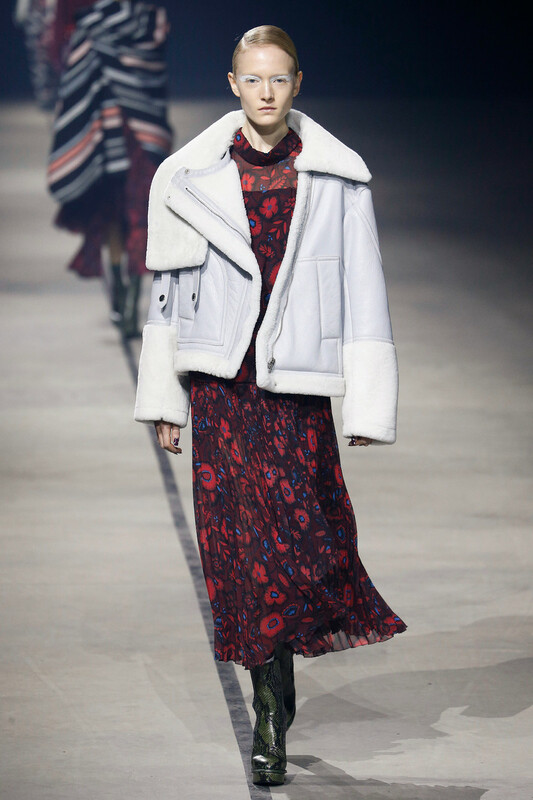 Oversize shearling jackets were slung over pleated chiffon dresses in a nod to the volatile climate that has wrong-footed retailers in recent seasons. 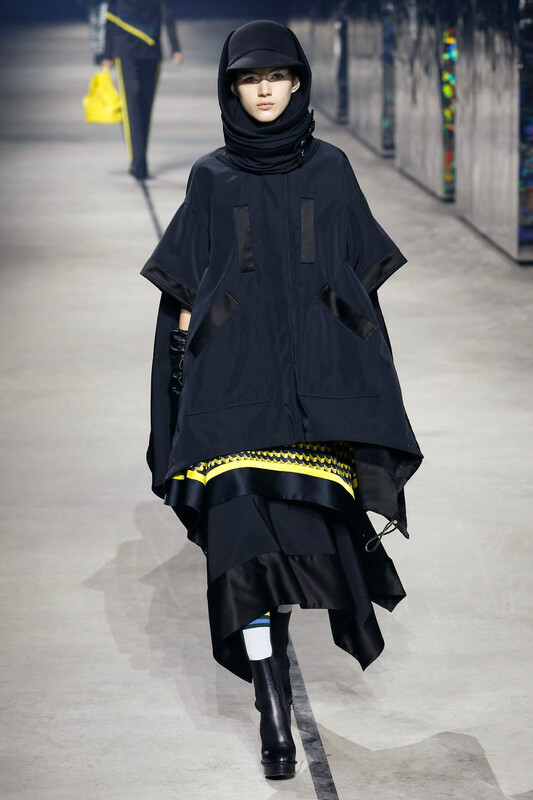 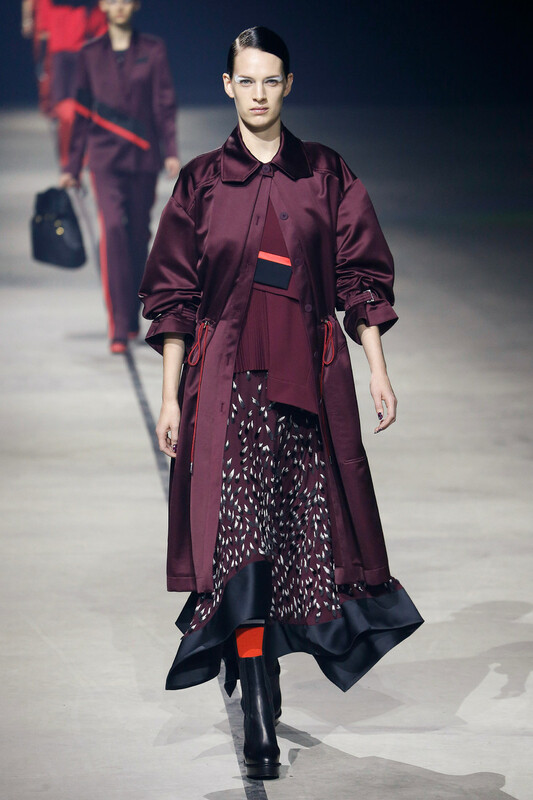 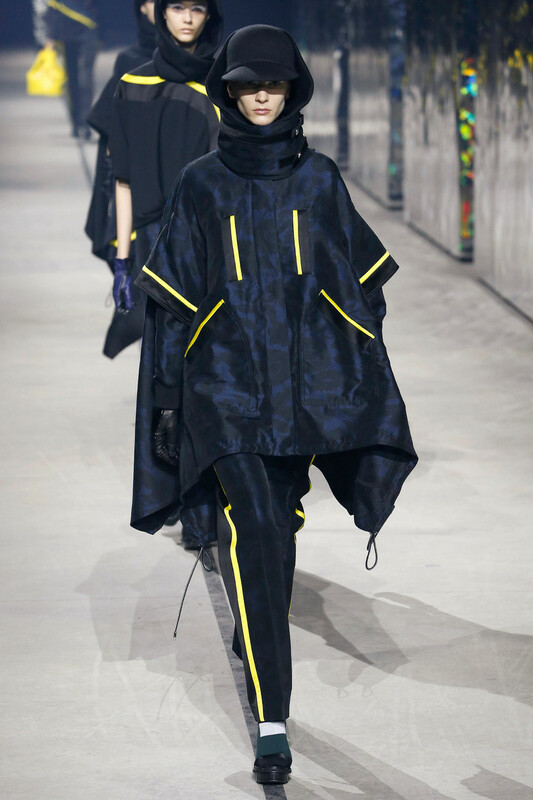 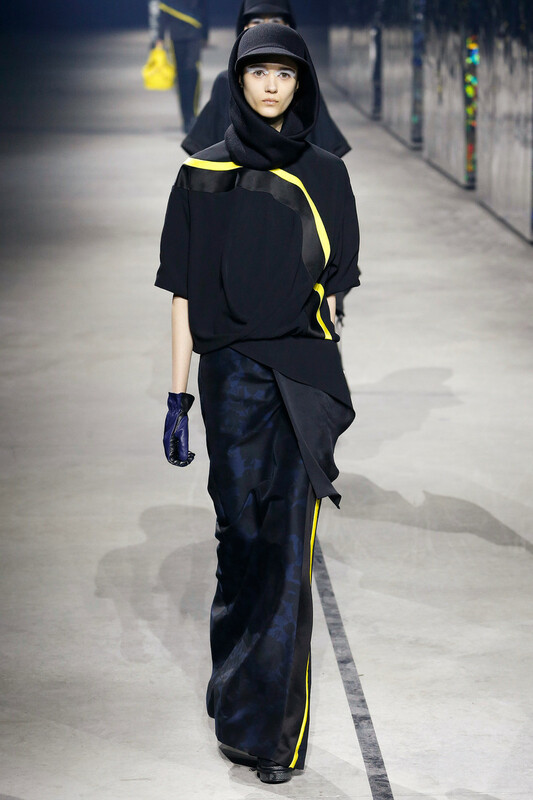 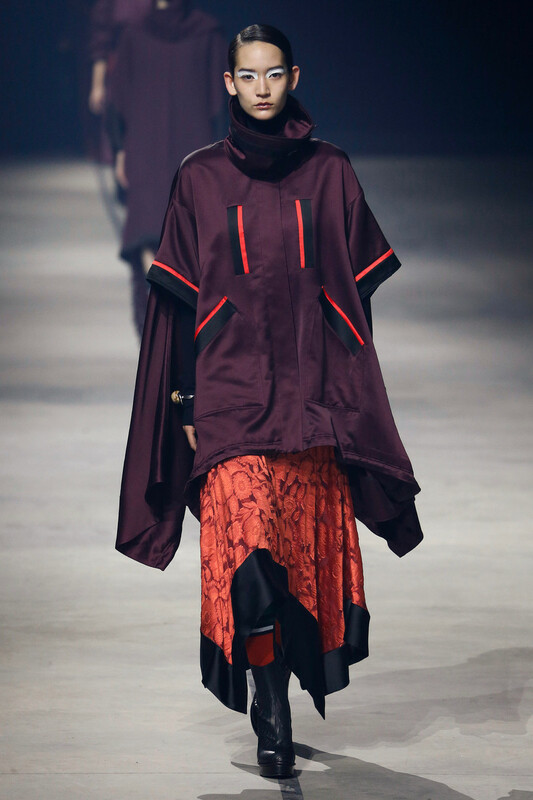 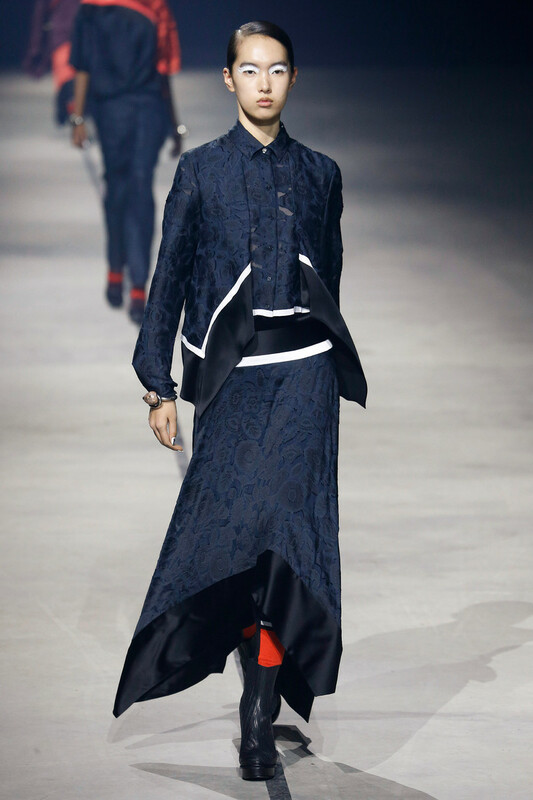 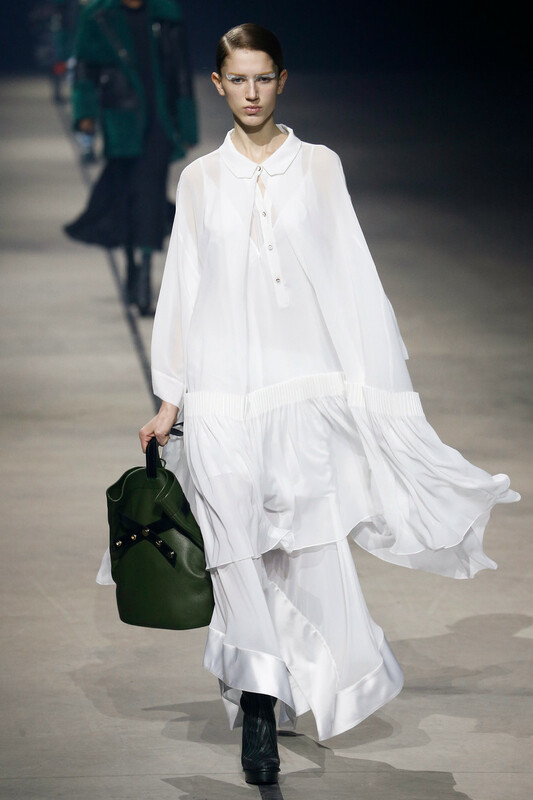 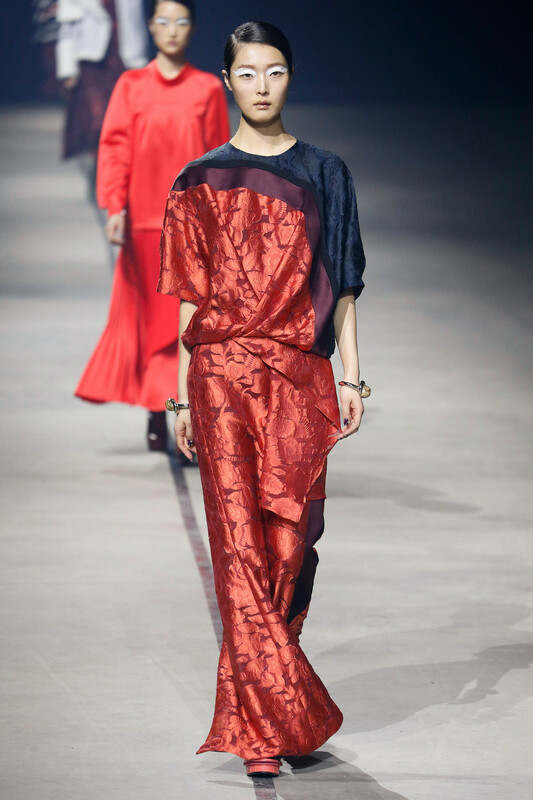 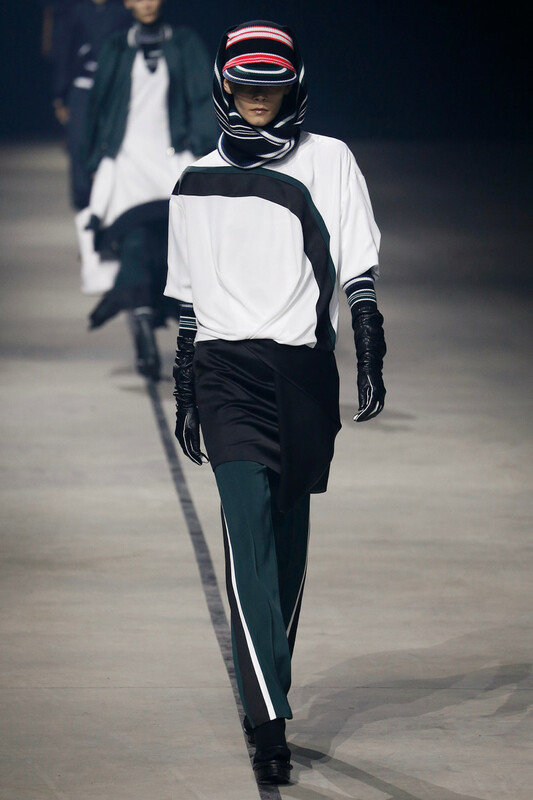 The duo worked two main silhouettes: top-heavy layers over ample skirts and less-cluttered looks that paired structured jackets or draped jerseys with skirts and pants in satin, georgette or fil coupé, reminiscent of kimono fabrics.